In April 2017, Microsoft Corporate Vice President Jeff Teper, often called the “father of SharePoint,” told Brad Sams that SharePoint had “more than 200 million users.” At the time, Microsoft claimed 85 million monthly active users for Office 365. According to Microsoft’s latest results, that number is now more than 120 million, as I predicted (it wasn’t hard). Recently, Jeff Teper presented at the European SharePoint Conference, where he noted that 65% of all SharePoint seats are online (in other words, use SharePoint Online). Sixty-five percent of 200 million is 130 million, which is more than the official Office 365 user base. Jeff’s figures seem off, or perhaps Microsoft is growing Office 365 even faster than expected. In either case, the fact is that an awful lot of people use SharePoint Online. But looking back, when Teper returned to run SharePoint in July 2015, the product was running out of steam. Although powerful in knowledgeable hands, SharePoint was often too complex (and therefore costly) for organizations to deploy and manage well. In a 2009 interview, Teper acknowledged that Microsoft “may have oversold how simple SharePoint was to deploy.” Things had not improved much between 2009 and 2015. SharePoint’s progress in Office 365 was hampered by poor administrative interfaces, complex migrations, and poor hybrid capabilities. Microsoft launched Office 365 Groups in November 2014 but did not make much of the new app until the Ignite 2015 conference rolled around the next May. The first iteration of Groups tried to disguise its use of SharePoint by linking its document management functionality to OneDrive for Business. The idea was that files stored in Groups were a natural extension of the user’s personal OneDrive site. Of course, OneDrive depends on SharePoint. Following considerable publicity at Ignite 2015, the Groups bandwagon gathered pace. People wanted collaboration functionality and the large base of Outlook users found it easy to use Groups, even when Microsoft sometimes went overboard to convince tenants that Groups solved all known collaboration issues. The March 2017 debacle to auto-generate groups for the direct reports of managers is the most grievous example. In April 2017, Microsoft reported that more than 10 million Office 365 users relied on Groups. At the time, that figure represented about an eighth of the total Office 365 base, so the number today based on the Office 365 user base should be north of 15 million. In fact, the number is likely considerably higher because the of the number of apps that use Office 365 Groups to manage identities and membership. Teams, which Microsoft says is now used by more than 125,000 organizations worldwide, is the best example, but Planner, Stream, Power BI, and StaffHub are in the mix too. 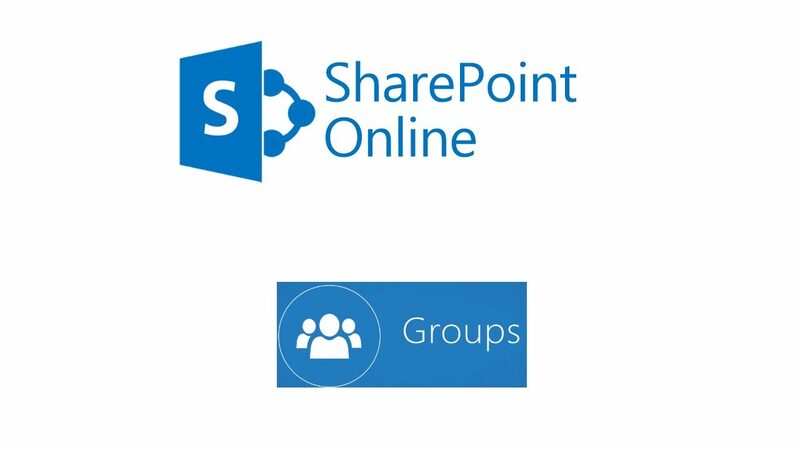 In addition, Yammer now uses Office 365 Groups and Microsoft supports the ability to connect a new Office 365 Group to classic SharePoint team sites. When a group-enabled app like Teams creates a new object (in this case, a new team), Office 365 creates a new group object in Azure Active Directory and invokes a provisioning process to create the basic set of resources available to the group. Part of those resources is a SharePoint team site, created in its own site collection. A document library in the team site then acts as the document repository for the application. I think that the major contributor to the growth in SharePoint usage is because every Office 365 Group has a team site. People don’t think about using SharePoint. They think about using Teams, or Planner, or Yammer, or Outlook. And if they have a file to store, they put it wherever the application dictates, like in the Files section of Teams (Figure 1). It is a natural and easy way for people to use document management and it is the engine driving SharePoint usage. 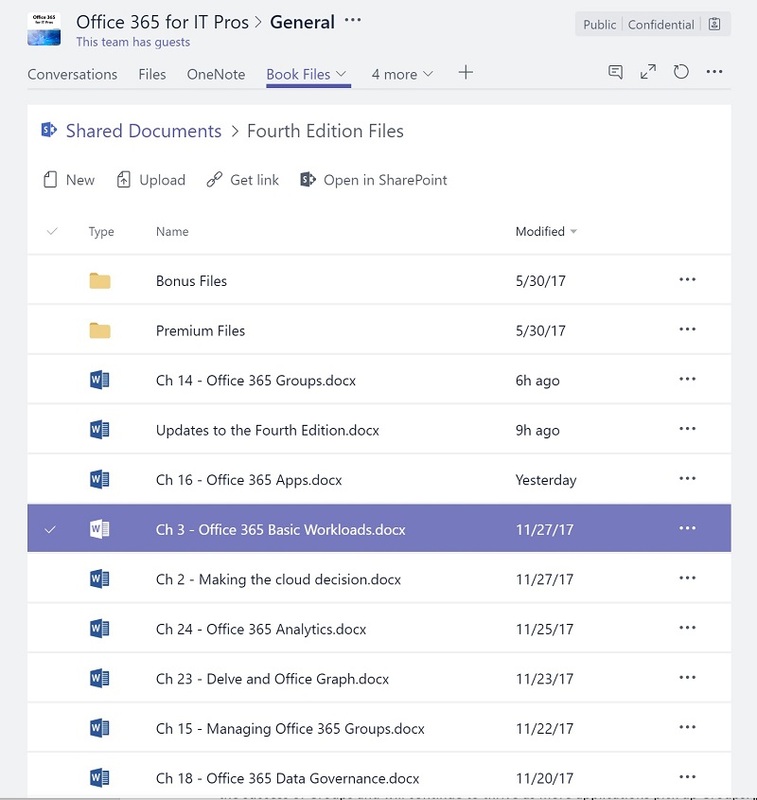 OneDrive for Business and the changes made to applications like Outlook to encourage people to use “cloudy attachments” are other important influences on SharePoint growth. The new OneDrive sync client and its ability to process SharePoint document libraries has also helped. SharePoint on-premises is a complex server that sits at the center of its own ecosystem. Things are different in the cloud where the role of SharePoint Online as one of the two basic Office 365 workloads is to be a provider of document management services to other applications. The same is true for Exchange, where its role is to provide mailbox and calendar support to applications. It is a huge change in focus for SharePoint, but it is one that has allowed SharePoint to prosper in the cloud. The new spring in the SharePoint step is good for fans too as they see new features like attention view, more web parts for pages, hub sites, and a new administration console appear. Quite how many of these features show up in SharePoint 2019 for on-premises users is debatable. We shall see in time. There’s no doubt that Groups is a major success for Office 365, even though the licensing requirements for some so-called premium features remain a sore point for tenants. SharePoint has gained a lot from the success of Groups and will continue to thrive as more applications pick up Groups. If Microsoft had not created Office 365 Groups, I think it is doubtful that SharePoint Online would have had its recent growth. New types of sites, better management, and new web parts attract those who already use SharePoint; growth comes from attracting new users, and that comes from applications like Teams.